This lovely tile in done in shades of rose. 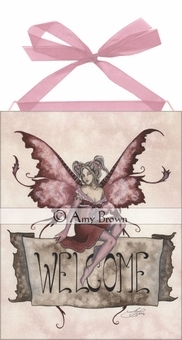 It features a fairy sitting atop a parchment sign that says "WELCOME". 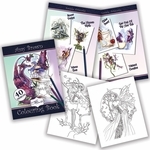 The pixie has a dark pink dress, and her butterfly wings, edged in darker red, match. Her look invites you to come in and make yourself at home!